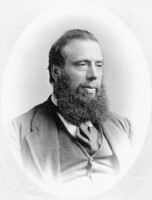 ROBINSON, WILLIAM BENJAMIN, politician; b. 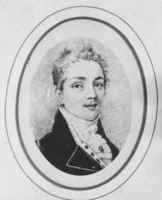 22 Dec. 1797 in Kingston, U.C., youngest son of loyalists Christopher Robinson* and Esther Sayre; d. 18 July 1873 in Toronto, Ont. In the year after William Benjamin Robinson’s birth the family, which included two older brothers, Peter* and John Beverley*, moved to York (Toronto); the father died when the youngest son was less than a year old. The family seems to have lived in scanty comfort but in 1802 Esther married Elisha Beman, a mill-owner and merchant in Newmarket who had earlier been a tavern-keeper in York. It was at Newmarket that William was brought up and educated by his mother. In his youth William was influenced by his brother Peter who took a special interest in him. Peter wrote in 1816 that “William is a very steady good lad, is with me now, and I mean to give him every opportunity of improving himself.” When Peter moved from Newmarket to Holland Landing, William took over the mills and stores built by their stepfather, and on 5 May 1822 he married Elizabeth Ann Jarvis, daughter of William Jarvis*, provincial secretary of Upper Canada. They had no children. In 1833 they moved to Holland Landing, taking over the house that Peter had built there. It became the usual stopover for travellers north. William also followed Peter into the fur trade, in the firm P. and W. Robinson. He established two trading-posts in the Muskoka district, one on an island, later called Yoho, in Lake Joseph, and the other on Georgian Bay at the mouth of the Muskoka River. He was described as being “one of the chief Indian traders throughout northern Ontario, a most intelligent and well-informed gentleman,” and his reputation for fair dealing gave him a position of influence among the Indians. 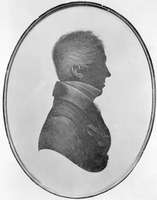 In 1828 William, who like his brothers was strongly Tory in his sympathies, contested the first election for the Legislative Assembly in Simcoe County after its separation from York County. 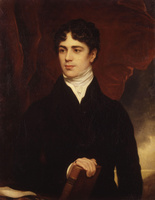 He lost to John Cawthra by nine votes, but won in the elections of 1830 and 1834. Lavish grants of lands in Medonte and Nottawasaga townships to Tory supporters just before Francis Bond Head’s “bread and butter” election of 1836 were credited with helping Robinson defeat Samuel Lount*, who soon after supported the agitations of William Lyon Mackenzie*. 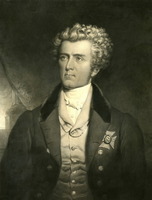 In the assembly Robinson succeeded in having passed an act for macadamizing the York roads and in raising a loan of £10,000 for improvements in his constituency. A new sphere of activity had opened for Robinson in 1833 when the assembly appointed him with Absalom Shade* and John Macaulay* as commissioners to superintend the expenditure of a grant voted for the improvement of the Welland Canal. 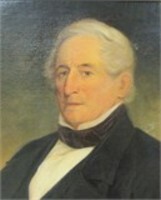 Robinson acted in a supervisory capacity for the canal for many years, his instructions being “to give his personal attendance on the canal until it was rendered navigable.” He carried out his duties with vigour (living in St Catharines from 1837 to 1843), and took charge of all contracts and disbursements. In the first election after the union of Upper and Lower Canada in 1841 Robinson was defeated in Simcoe by Elmes Steele* of Medonte in a bitter contest in which the militia was notified to stand by. Out of the assembly, he negotiated in 1843 the first of the “Robinson Treaties” with the Indians, whereby over 700 acres of the District of Simcoe were “set aside to be held in trust for the use of the Chippewa Tribe of Lake Simcoe.” Chief William Yellowhead* was a signatory. In 1844 Robinson was re-elected to the assembly for Simcoe, and he held this seat until 1854. On 20 Dec. 1844 he became inspector-general in the government of William Henry Draper, with a seat on the Executive Council. 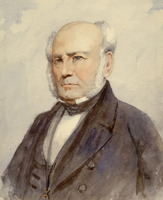 Robinson, however, strongly opposed Draper’s bill in 1845 to establish a provincial “University of Upper Canada,” endowed partly from the grants made to King’s College, the Church of England university. 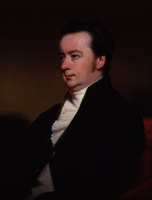 Although Draper was willing to postpone the bill, Robinson resigned from the Executive Council in March 1845 as a matter of principle, an action which gained him praise from the Globe and other Reform newspapers as “the only honest politician” in the ministry. After the failure of Draper’s university bill Robinson refused to re-enter the Executive Council, but in 1846 accepted the post of chief commissioner of public works which he retained until the formation of the Reform ministry of Robert Baldwin* and Louis-Hippolyte La Fontaine*. 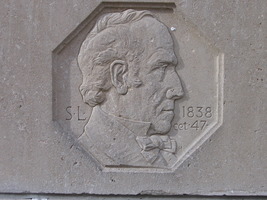 His position enabled him to push forward many improvements in his constituency, such as the important road to Penetanguishene in 1846, the Ridge Road between Barrie and Orillia in 1848, and surveys of the county. 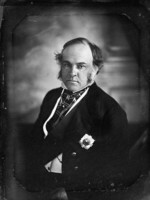 In 1850 Governor General Lord Elgin [Bruce*], prompted by Chief Justice John Beverley Robinson and by Bishop John Strachan*, was anxious to appoint William assistant commissioner of public works to help relieve his financial difficulties, but Baldwin rejected the suggestion as a violation of his principle of giving patronage only to his supporters. 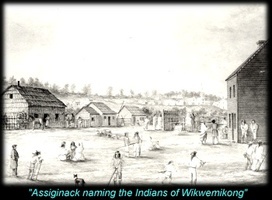 Instead, the ministry commissioned Robinson, who was already well known to the Indians, by order in council on 11 Jan. 1850 to negotiate “for the adjustment on [the Indians’] claims to the lands in the vicinity of Lakes Superior and Huron, or of such portions of them as may be required for mining purposes.” In the late 1840s the Indians living on the northern shores of lakes, Huron and Superior had become concerned that, although the government had not arranged treaties with the tribes, location tickets were being issued to mining companies. An armed skirmish in 1848 at one of the Quebec Mining Company’s locations forced the government to act, and Alexander Vidal and Thomas Gummersall Anderson reported on a proposed treaty in December 1849. Robinson, who had earlier submitted a memorandum to the government on possible ways of settling the issue in the region of the upper lakes, made two trips to the Sault Ste Marie and Michipicoten areas in April and May 1850 to sound out Indian leaders and Hudson’s Bay Company officials. Final negotiations took place at Sault Ste Marie and two treaties were signed; on 7 September the Indians of Lake Superior surrendered the land from Batchawana Bay to Pigeon River, and on 9 September the Indians of Lake Huron under Chief Shinguacouse gave up the area between Batchawana Bay and Penetanguishene. The Robinson treaties ended the difficulties on the upper lakes and were later used as models, but Robinson himself looked upon them as being “based on the same conditions as all preceding ones.” The treaties included provisions for the traditional “treaty money” cash payments (£2,000 in each of these cases), payments of annuities of £1 per Indian per year, the setting aside of reserves, and the retention of hunting and fishing rights throughout the surrendered tracts. The Indians would not interfere with mineral exploration and were to be entitled to royalties from any mineral deposits found on their own reserves. An “escalator” clause provided for an increase in the annuity payments should the value of the surrendered lands increase considerably; this was a unique feature of the treaties of 1850. 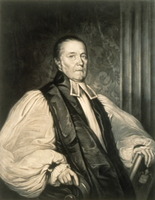 After 1845 Robinson’s attention in the assembly centred on the affairs of the Church of England and on measures to improve transportation facilities in the colony. He opposed Baldwin’s 1849 University of Toronto Act which secularized King’s College, and the following year he signed a petition to Queen Victoria requesting a royal charter for a new Church of England college. In 1850 and again in 1851 he voted against resolutions put forward by the Reform government to secularize the clergy reserves; and in the latter year he took an active part in proposals to construct an intercolonial railway linking Canada and the Maritimes. 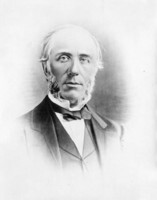 When the first separate school act for Canada West, introduced in 1855 in the Legislative Council by Étienne-Paschal Taché*, reached the assembly, Robinson voted with other Tories and with George Brown and Mackenzie in opposing it, even though he gave nominal support to the Liberal Conservative ministry of Allan MacNab* and Taché. He was a consistent supporter of the British connection. 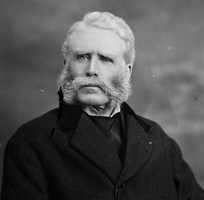 Although he had spoken against the union of Upper and Lower Canada both before and after the visit of Lord Durham [Lambton*], and voted for dissolution of the union in 1851, he moved resolutions in the assembly expressing loyalty to the crown and the constitution during the annexation crisis of 1850. He became one of the commissioners of the Canada Company in 1852 and senior commissioner in 1865 on the death of Frederick Widder*. 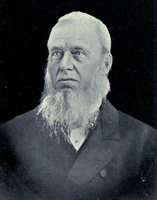 The representation act of 1853 divided the Simcoe County seat; Robinson was elected by acclamation in Simcoe South in 1854, but in 1857 was defeated by an opponent of long standing, Thomas Roberts Ferguson. He did not run again. After the death of his wife in 1865 he travelled abroad and on his return in 1867 lived in Toronto. William Benjamin Robinson did not achieve the prominence of his two elder brothers but he carried out the various responsibilities that came his way with energy and ability, and honourably stuck to his convictions. He shared what came to be known as “the Robinson charm,” a rare humour, and a zest for living that made him a delightful companion. PAC, RG 10, A8, 266, 511–14. PAO, Charles Clarke papers; Sir Aemilius Irving papers; Jarvis-Powell papers; Sir John Beverley Robinson papers. Barrie Herald, 12 July 1854. Christian Guardian (Toronto), 26 March, 17 Sept. 1845. Church (Toronto), 3 July 1851. Cornwall Observer, 10 April 1845. Globe (Toronto), 25 March 1845, 22 May 1855. Kingston Herald, 25 March 1845. Mail (Toronto), 19 July 1873. Toronto Herald, 31 March, 3 April 1845. Toronto Mirror, 20 June 1856. [Bruce and Grey], Elgin-Grey papers (Doughty). Canada: Indian treaties and surrenders . . . (3v., Ottawa, 1891–1912), I, II. Robina and K. M. Lizars, In the days of the Canada Company: the story of the settlement of the Huron tract and a view of the social life of the period, 1825–1850 (Toronto, Montreal, 1896). Upper Canada, House of Assembly, Appendix to journal, 1836. Armstrong, Handbook of Upper Canadian chronology. Political appointments, 1841–1865 (J.-O. Coté). Wallace, Macmillan dictionary. Dent, Last forty years. R. K. Gordon, John Galt (University of Toronto Studies, Philological series, 5, Toronto, 1920). Hunter, Hist. of Simcoe County. Julia Jarvis, Three centuries of Robinsons: the story of a family (Toronto, 1967). 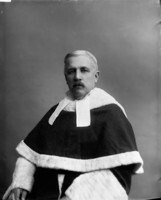 C. W. Robinson, Life of Sir John Beverley Robinson, bart., C.B., D.C.L., chief justice of Upper Canada (Toronto, 1904). The University of Toronto and its colleges, 1827–1906, ed. W. J. Alexander (Toronto, 1906). [Julia Lambert], “An American lady in old Toronto: the letters of Julia Lambert, 1821–1854,” ed. S. A. Heward and W. S. Wallace, RSCT, 3rd ser., XL (1946), sect.ii, 101–42. Julia Jarvis, “ROBINSON, WILLIAM BENJAMIN,” in Dictionary of Canadian Biography, vol. 10, University of Toronto/Université Laval, 2003–, accessed April 26, 2019, http://www.biographi.ca/en/bio/robinson_william_benjamin_10E.html.